Vespel, Tungsten, Ceramic, Terazzo ,Rubber – Various material!! 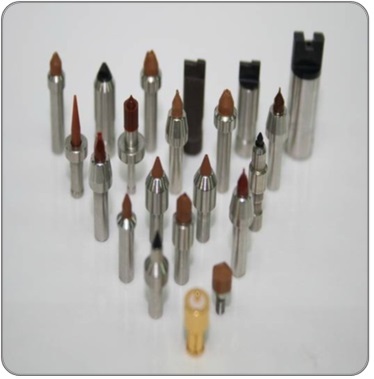 Ultra precision Processing product, Excellent lifespan, Competitive price!! - Collet is a pick up tool which is moving chip to lead frame or PCB. Ceramic, Torlon , Sus etc..